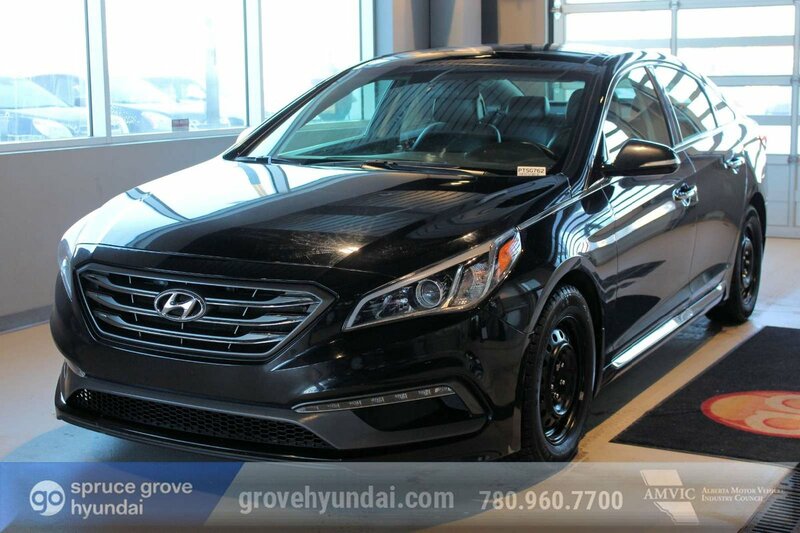 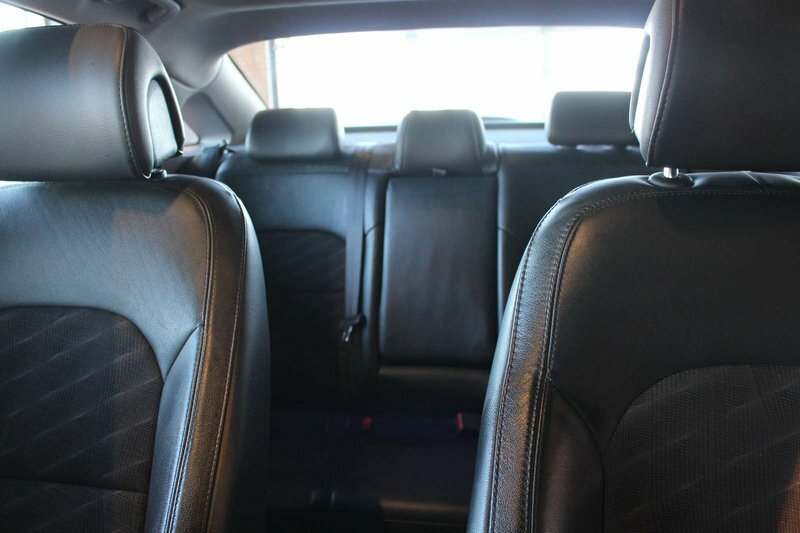 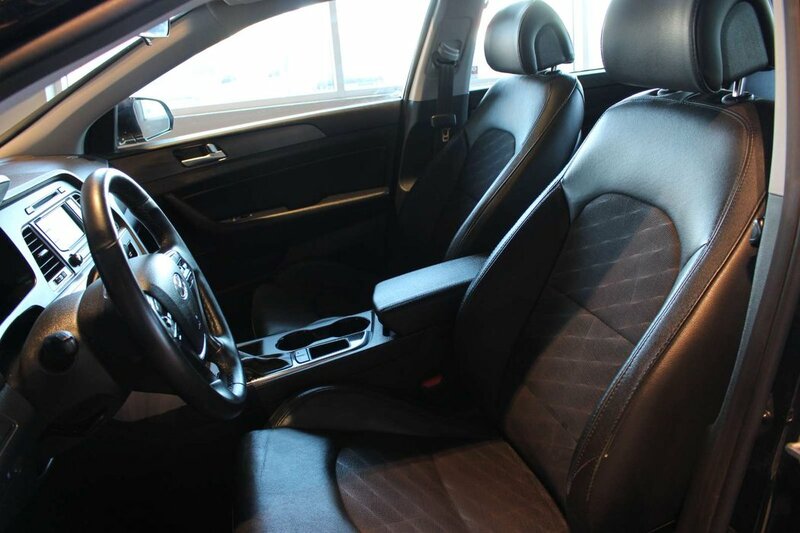 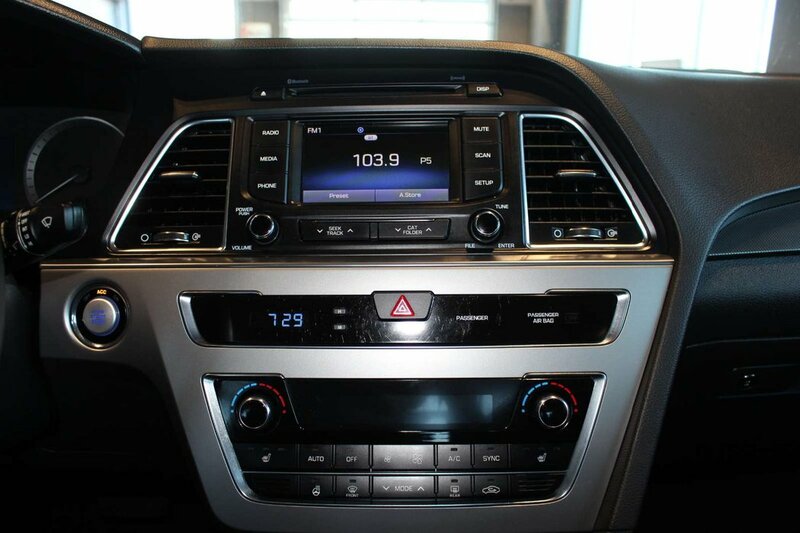 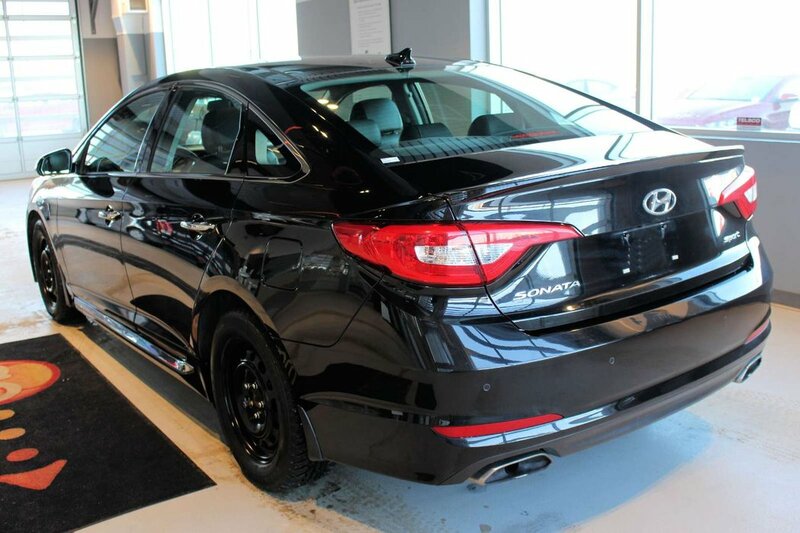 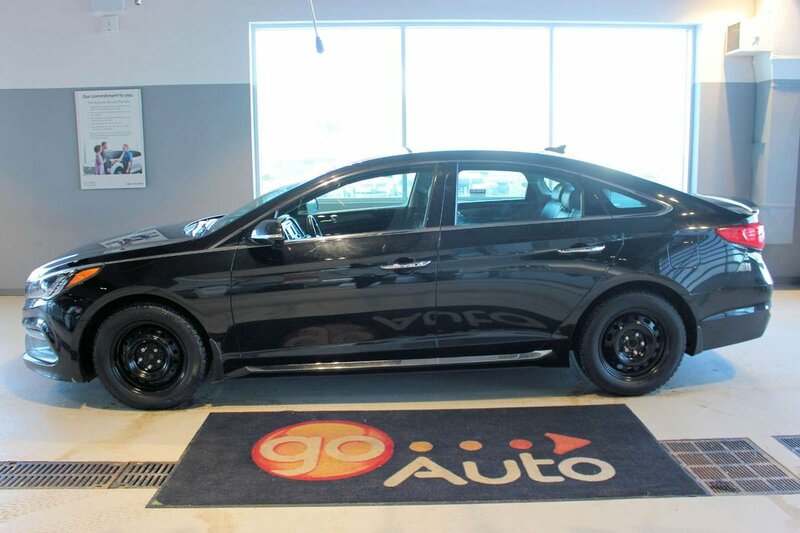 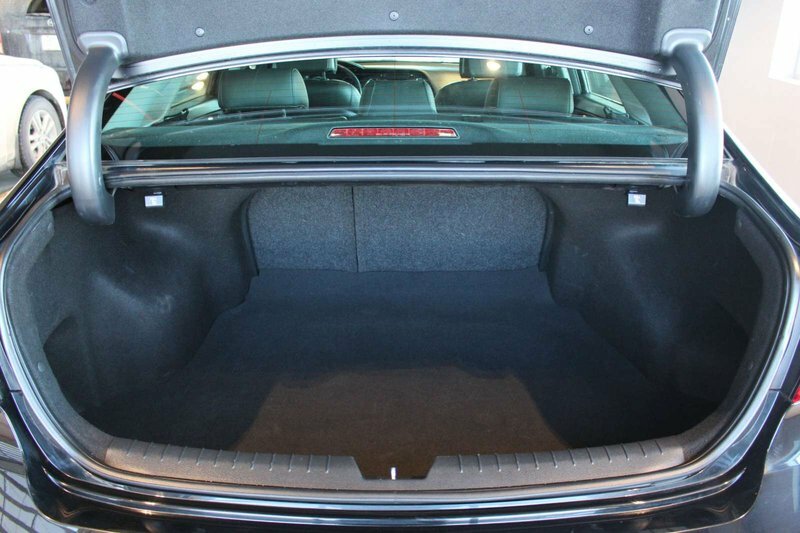 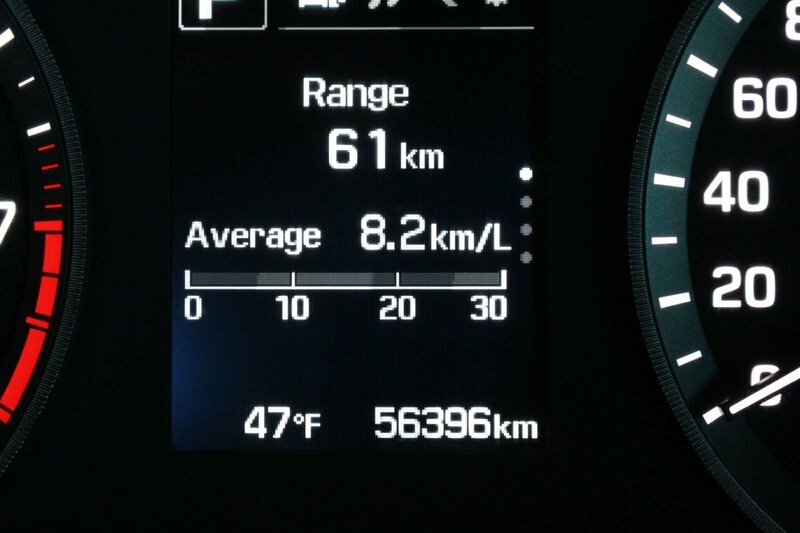 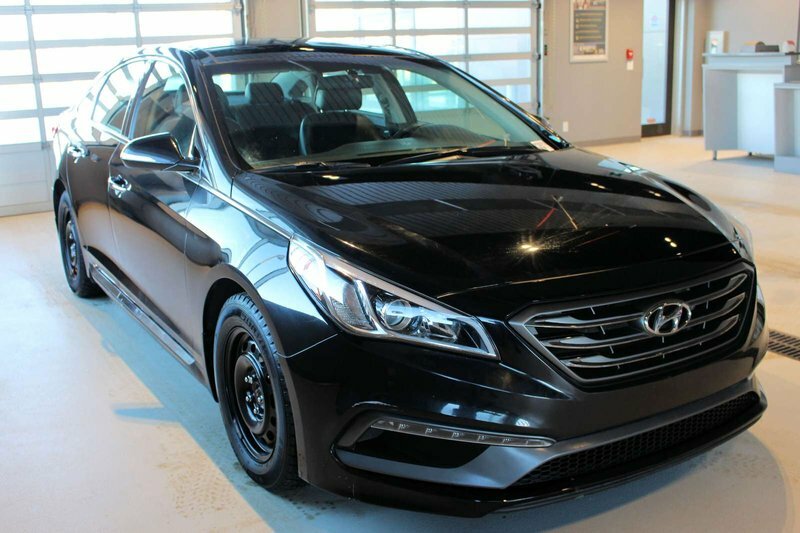 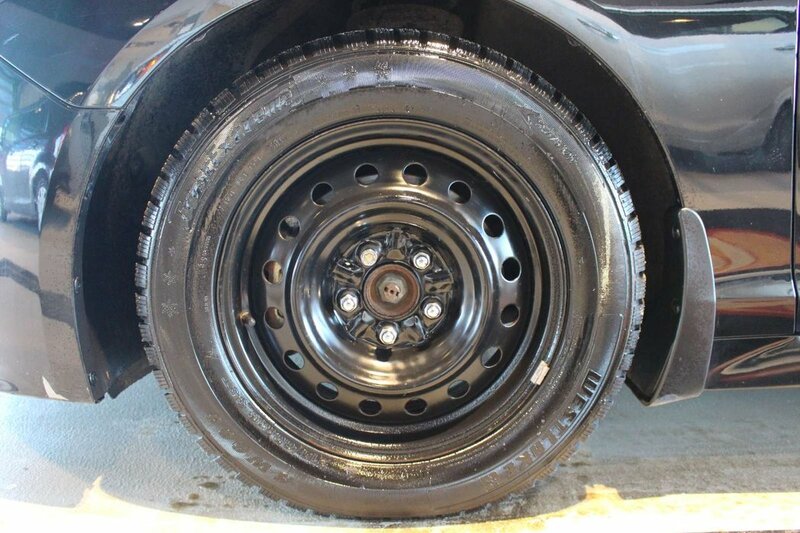 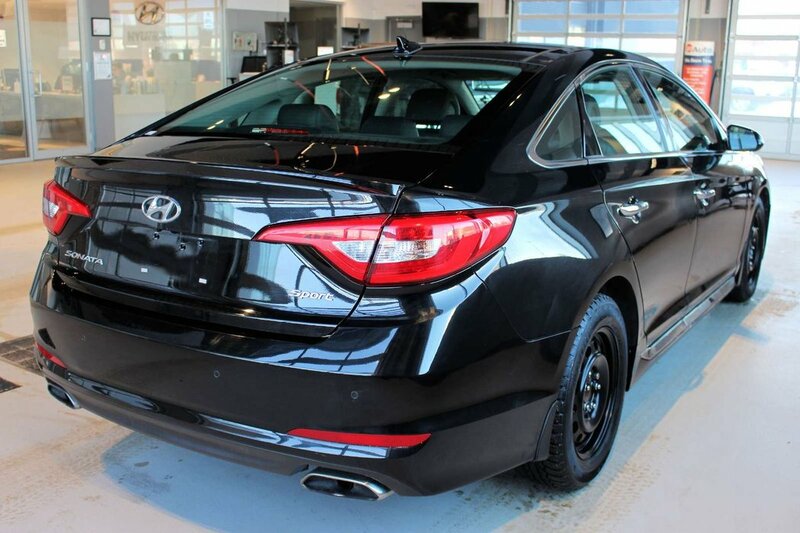 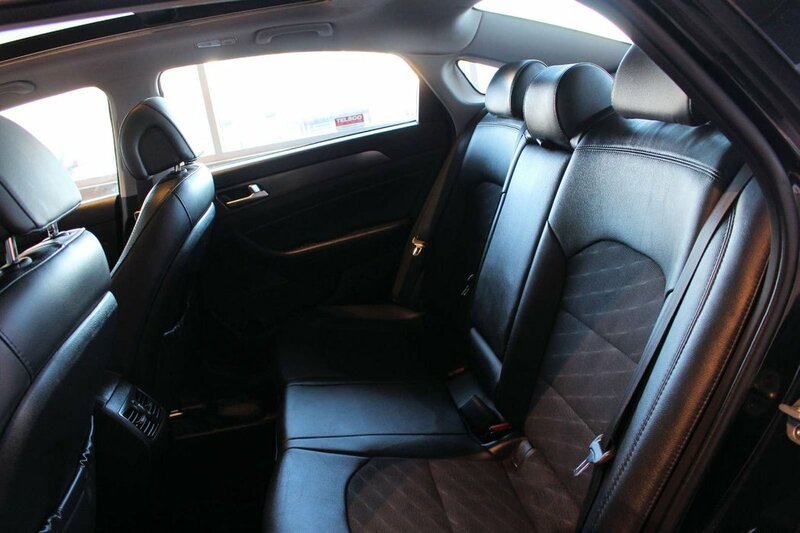 Arrive in style in our 2015 Hyundai Sonata Sport Sedan presented in a beautiful Phantom Black finish! 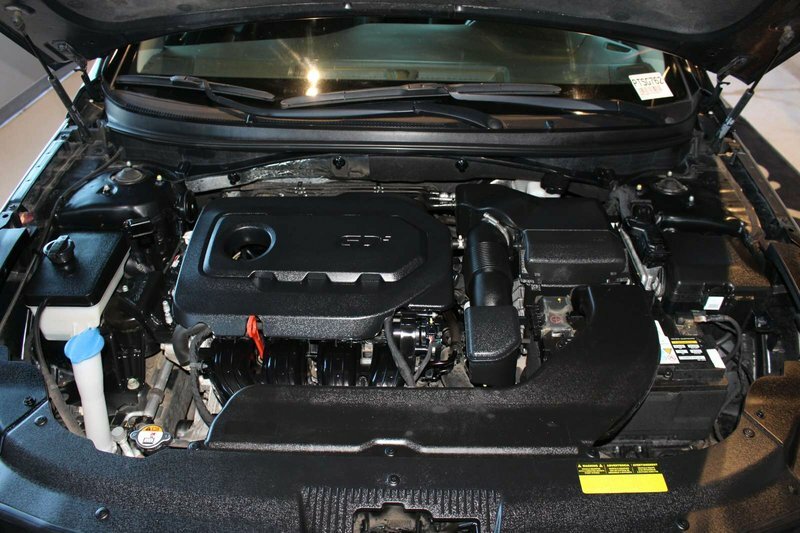 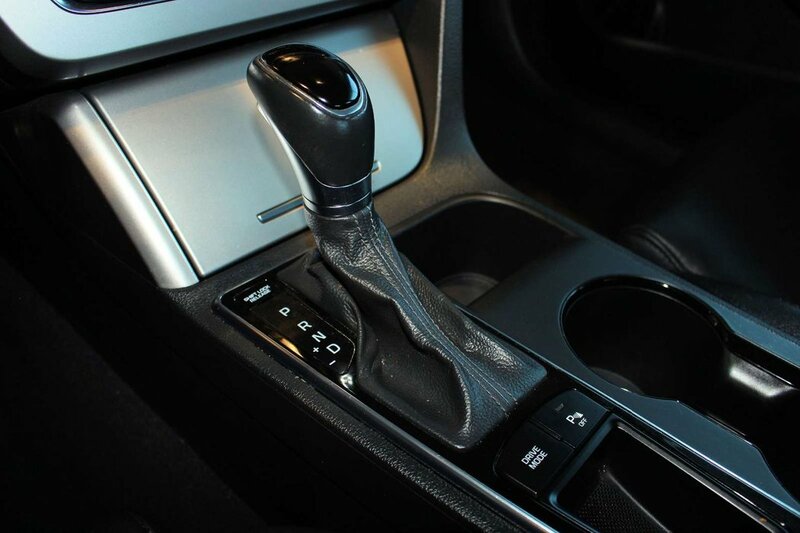 Powered by a highly efficient 2.4 Litre 4 Cylinder that produces 185hp while paired with an innovative 6 Speed Automatic transmission. 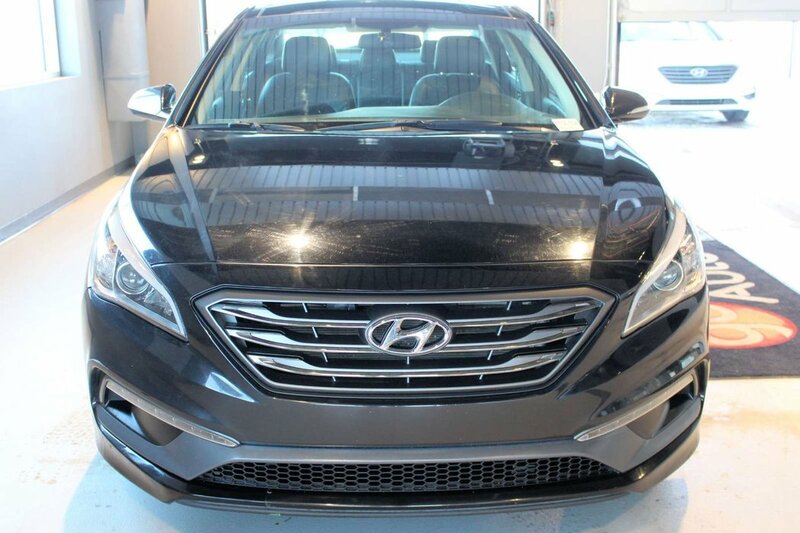 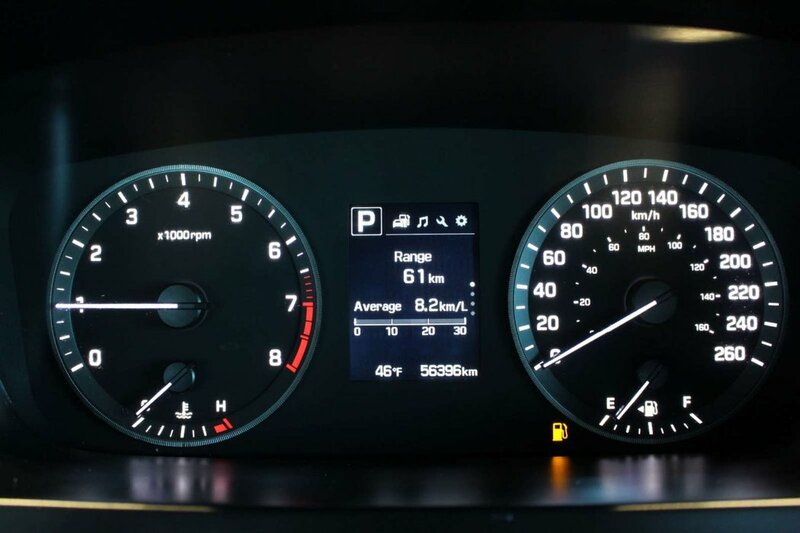 This Front Wheel Drive Sonata will impress you in any road condition, and it rewards you with up to 6.4 L/100km on the open road! 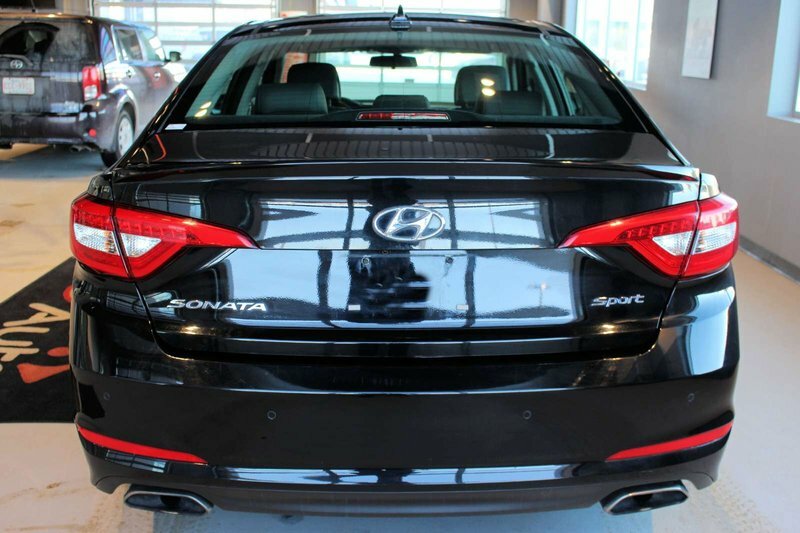 The striking exterior was created using our signature Fluidic Sculpture 2.0 design and is accented by a rear lip spoiler and a sport appearance front grille. 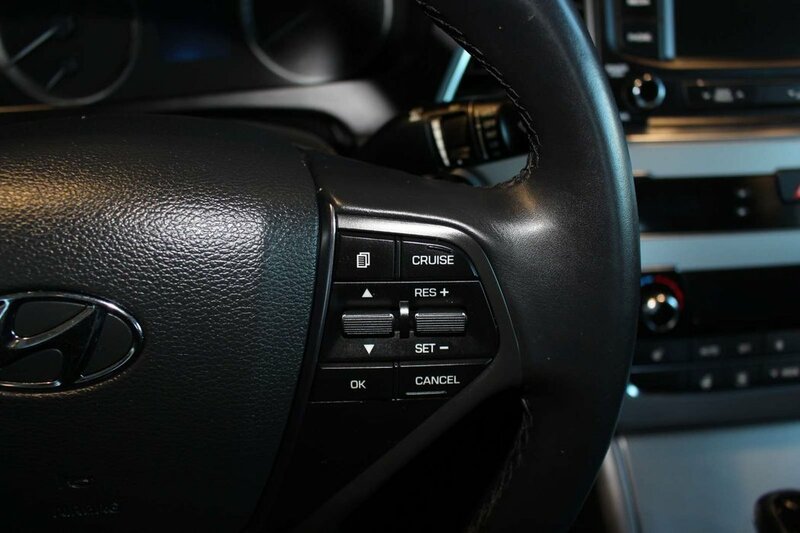 Stepping into the ergonomic and spacious cabin of this Sport, you will enjoy the class-leading space and a multitude of premium soft-touch materials that will make you feel right at home. 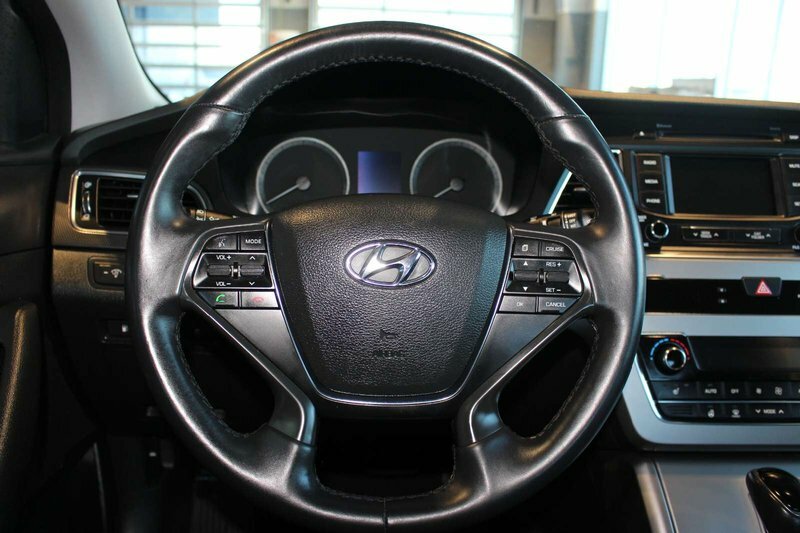 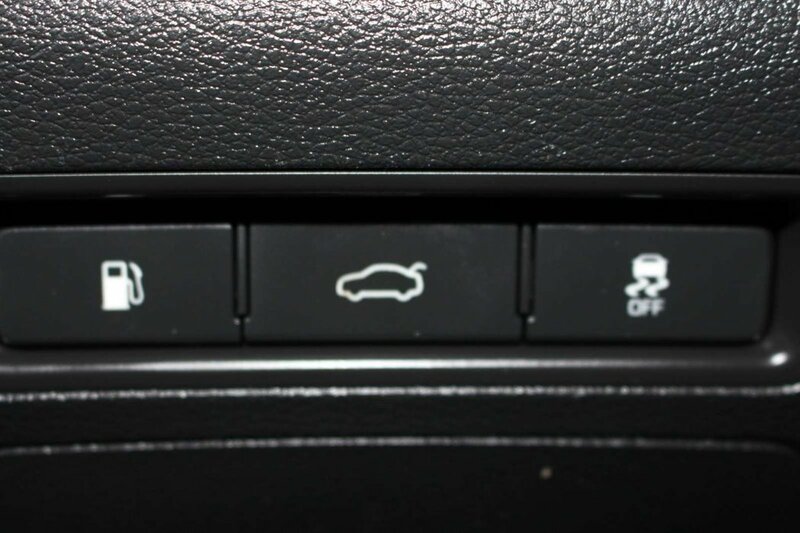 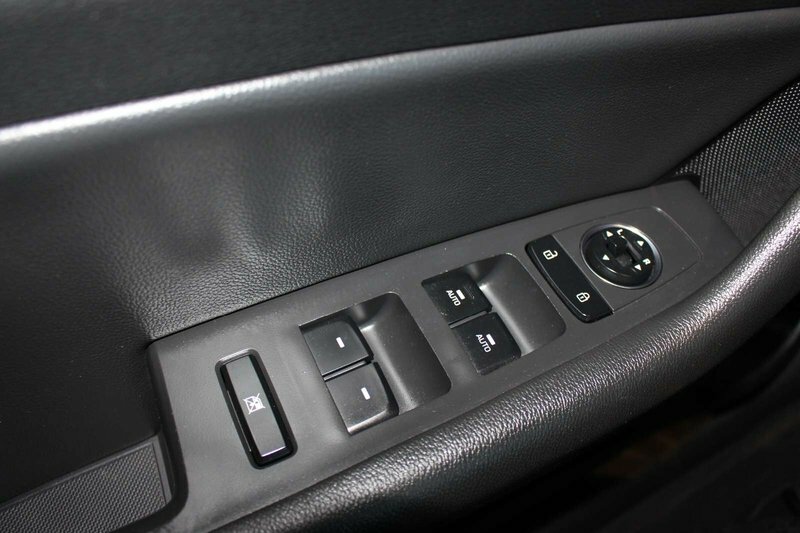 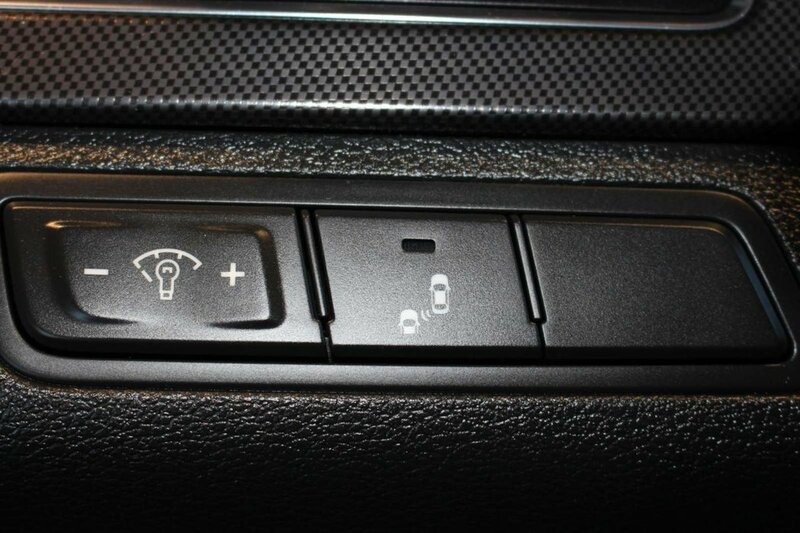 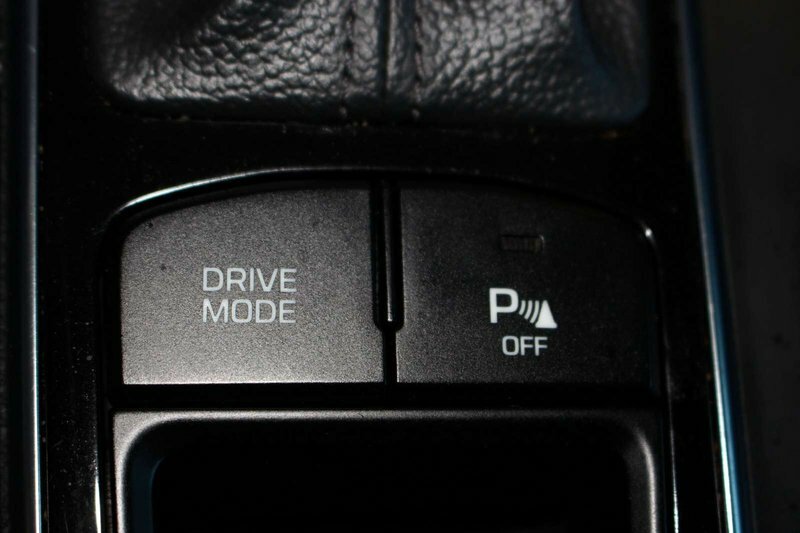 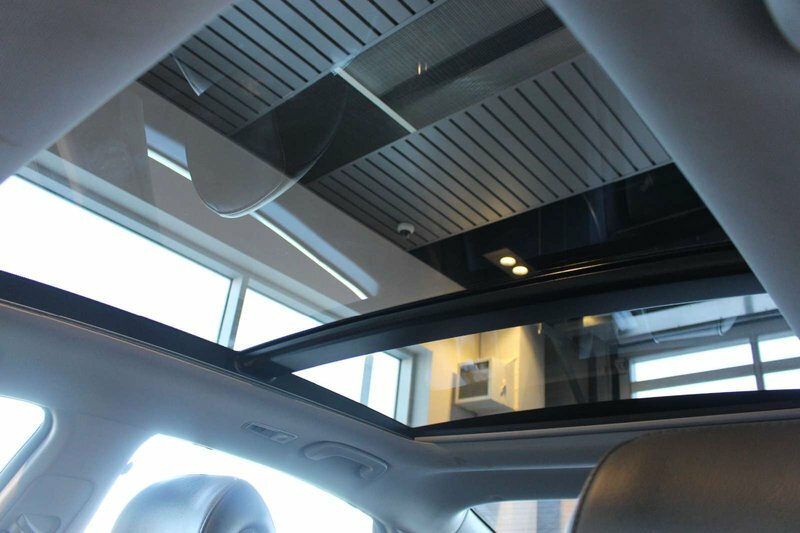 Sit down in the 8-way power driver's seat, appreciate the panoramic sunroof, premium leather with heated front seats, and a heated steering wheel with mounted audio controls for Bluetooth and cruise controls. 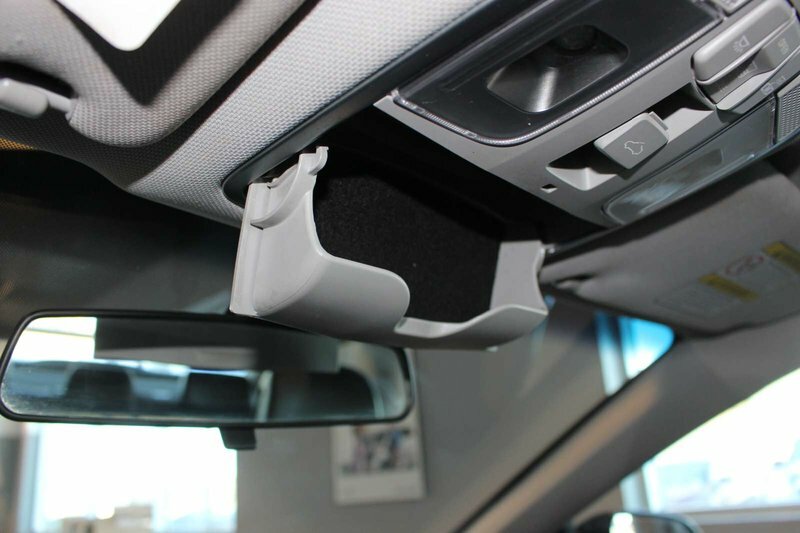 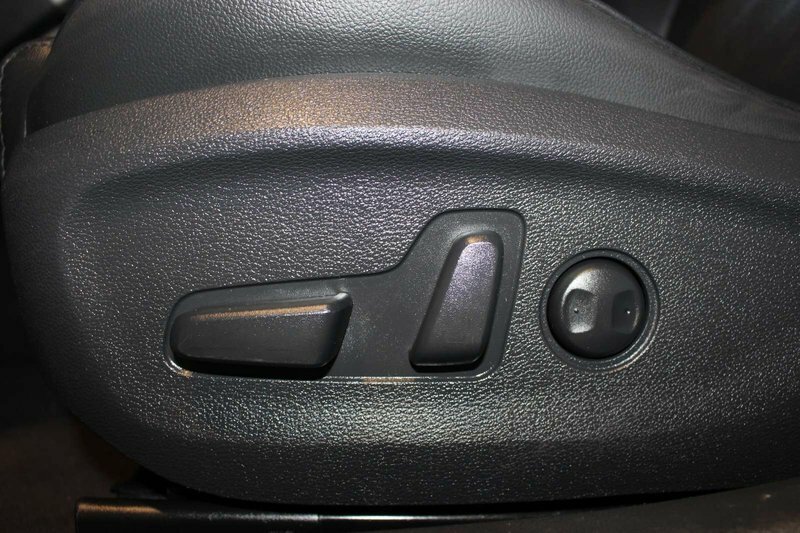 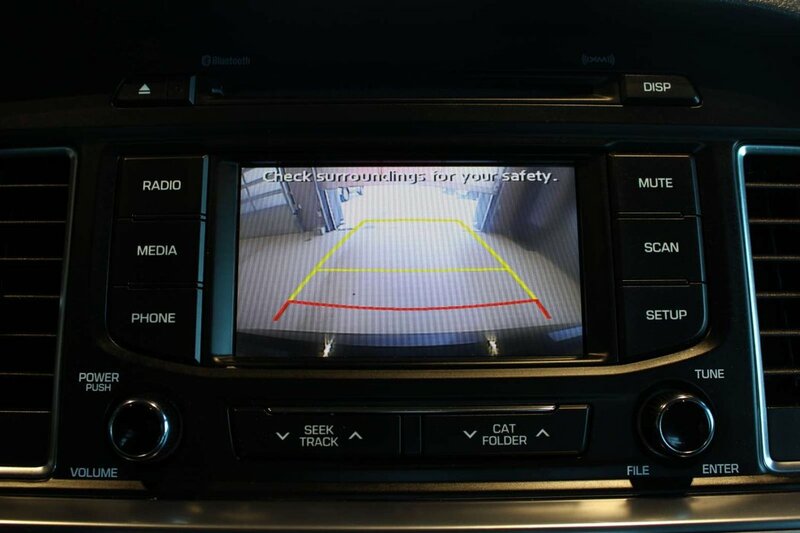 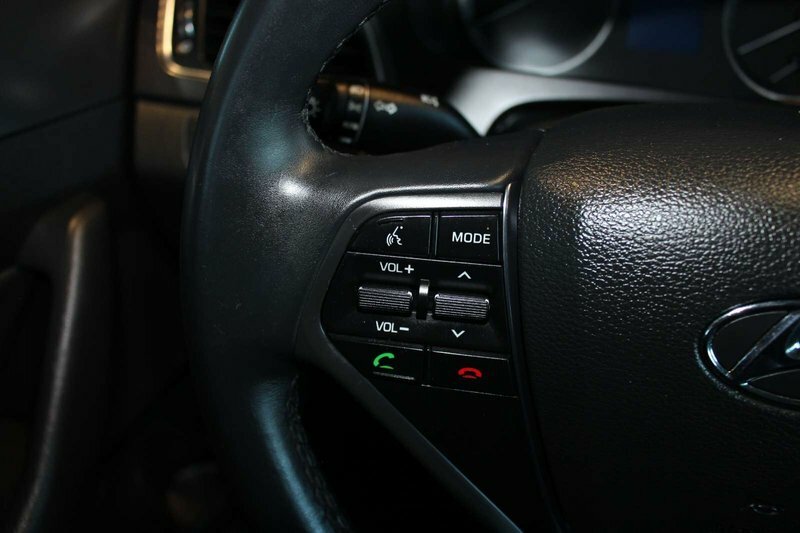 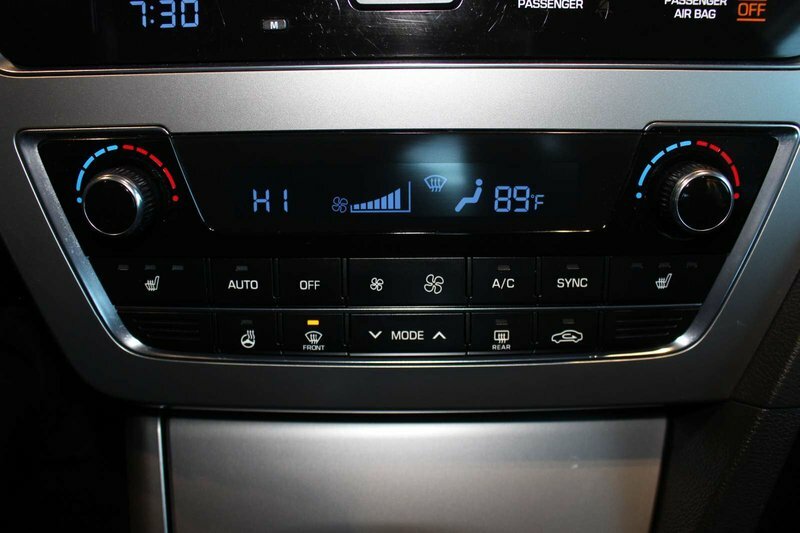 Plug in your devices with iPod/USB and auxiliary input jacks that are paired with a premium audio system controlled by a colour touchscreen and even a backup camera in place to maximize your confidence while driving!